Indian festivals are full of deep sentiments and rituals and that is because of diversity and their spiritual values. 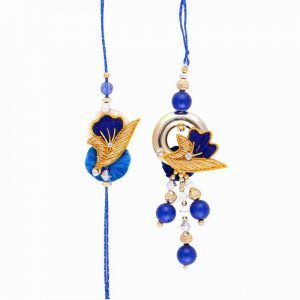 Rakhi is one of the festivals which is celebrated on a very large scale throughout the country. ‘Raksha’ means protection, and ‘Bandhan’ is the verb for tying something. Raksha Bandhan not only symbolizes this bond between siblings but the belief ‘strong must protect the weak from all that’s evil’. Raksha Bandhan is considered as a day of tying the sacred thread by sister on brother’s wrist. There are a lot of stories in history which shows in rakhi is Raksha or security. It could be tied by a mother or daughter. The festival of Raksha Bandhan is celebrated in a variety of ways and forms by people. The festival is celebrated in various part of India in different ways. It is an occasion which observes the love and duty between siblings. 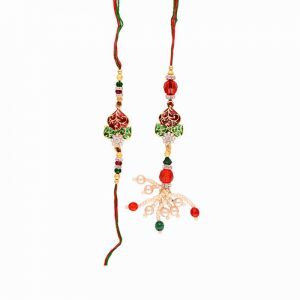 Rakhi or the other name is “Raksha Bandhan” is a holy festival celebrated in India and its subcontinent. This festival is believed to be one of the holiest festivals for a brother and sister. Every brother and sister in India and its subcontinent wait for this festival for the whole year and on this day they celebrate it like the most important day of their life. A brother-sister relationship is believed to be one of the most friendly relations because they live together from childhood, do all the mischievous work together, also take the punishment from their parent’s together. They love each other like anything in this world. All though they show their love towards each other all over the year this day holds a different importance in their life. Memories of this day remain with them for the whole year and after one year they are again ready to celebrate this holy festival of love between brother-sister with full energy and intensity. Unfortunately in today’s time due to work most of the brother’s and sister’s don’t live together due to which they have to send rakhi to each other on this day.